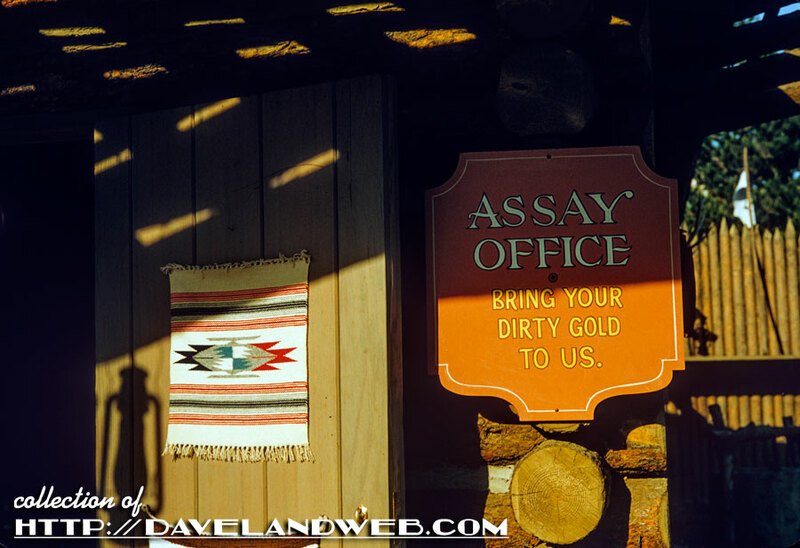 It’s our last day in Frontierland for March 1956, starting off with this closeup of the Assay Office. 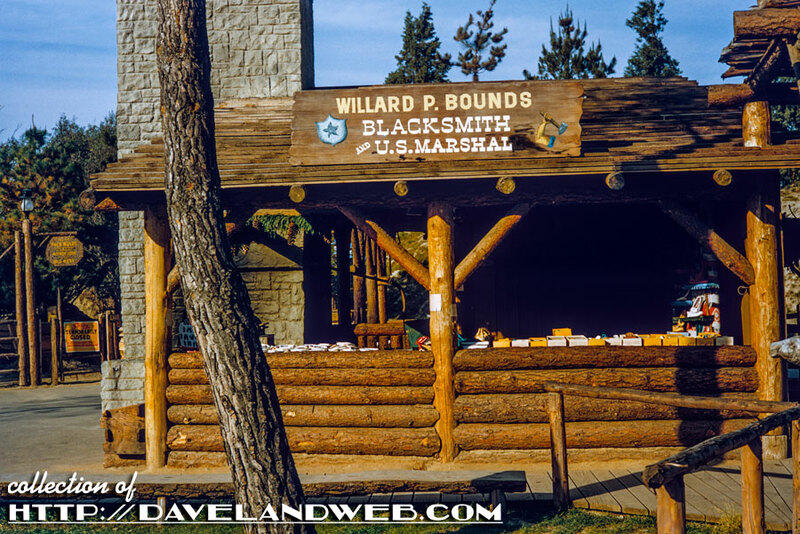 Shot #2 is the Blacksmith & U.S. Marshall shop of Willard P. Bounds (obviously a multi-tasker). 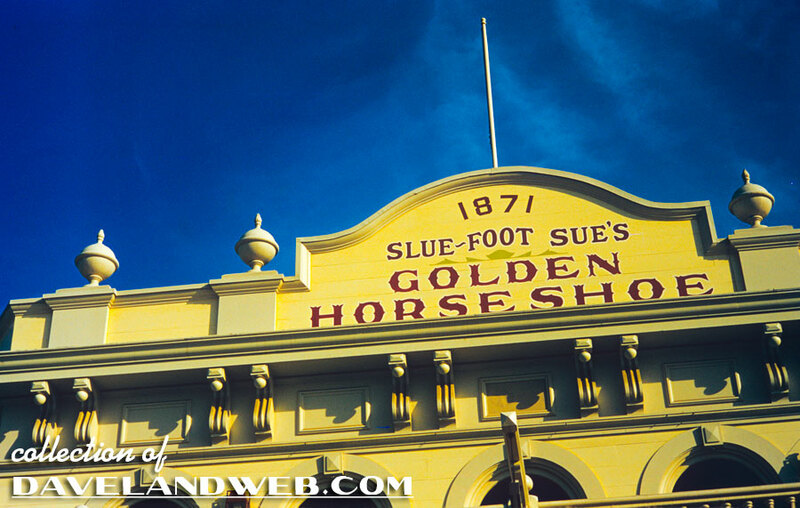 Truly these early shots do appear to be right out of an old Frontier town. Today, this area doesn’t quite have the same ring. 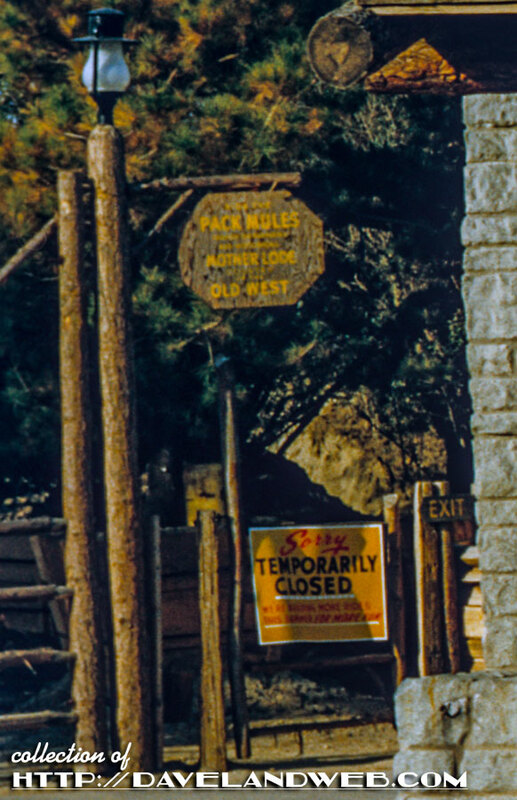 Oh, and bad news to all of you who were interested in riding the Pack Mules...they are closed today as this closeup shot shows. 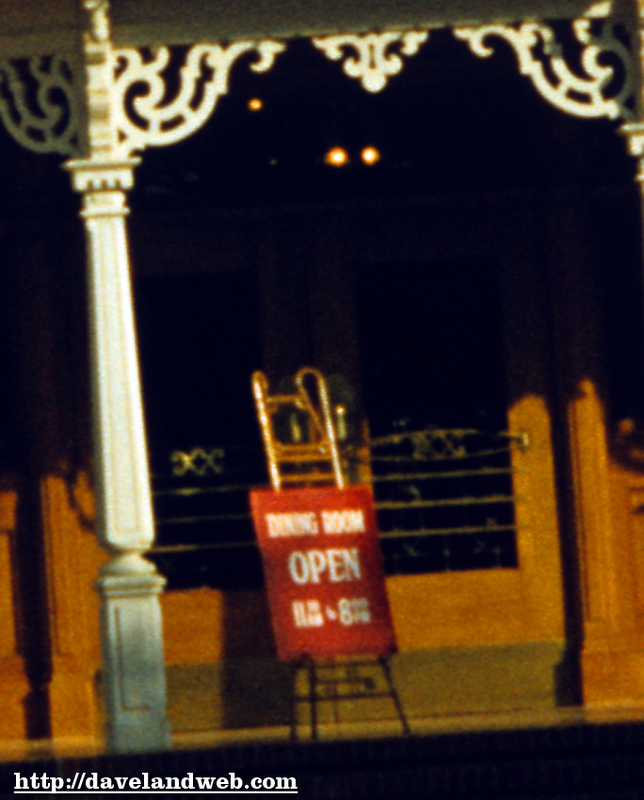 Two nice shots slightly marred by the film being out of alignment; first is an overhead from the Mark Twain showing the Golden Horseshoe and the second features the Dixieland Bandstand shown earlier in the week. New Orleans street is visible right behind it; at this time, the Casa de Fritos is still here; the Silver Banjo is yet to be part of this area. 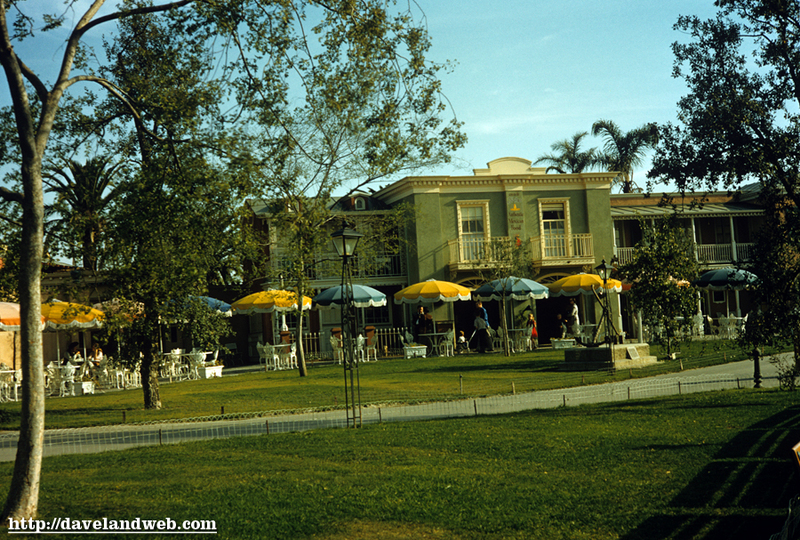 Last one up: The original location of the Casa de Fritos, before they moved to where Rancho del Zocalo is today (RZ is a recent Daveland favorite for lunch/dinner). 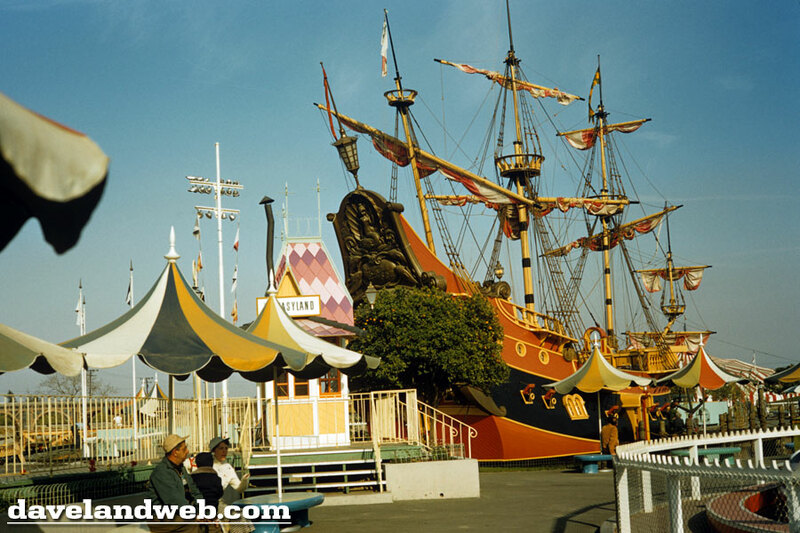 I have included a closeup of the anchor in front; anybody know what happened to it or what it signified? 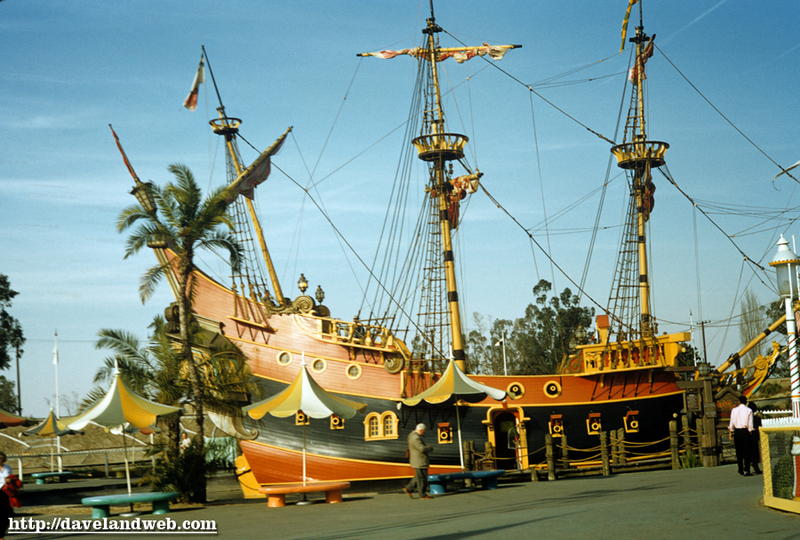 Tomorrow we’ll be spending a little time in Adventureland. 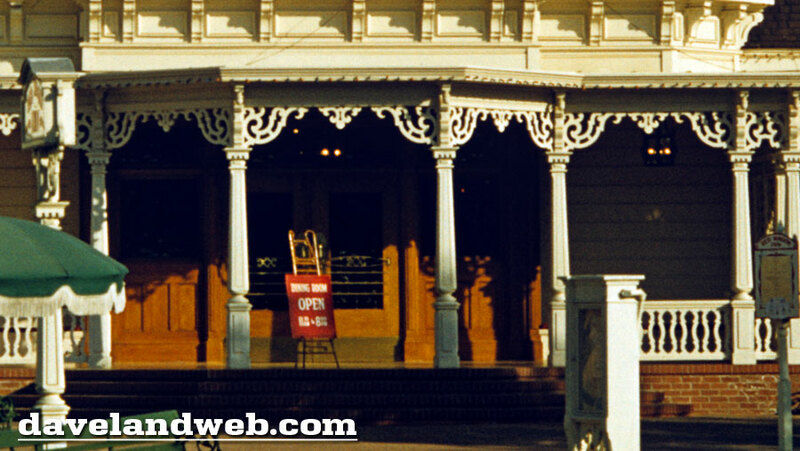 See more vintage Frontierland photos on my regular website. 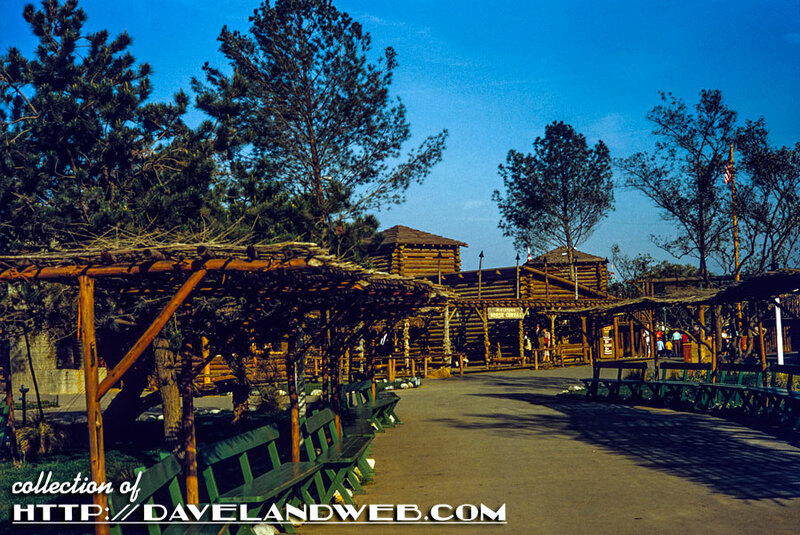 We are still in Frontierland, dear readers, beginning with this nice overall shot, including a view of the short-lived Miniature Horse Corral. 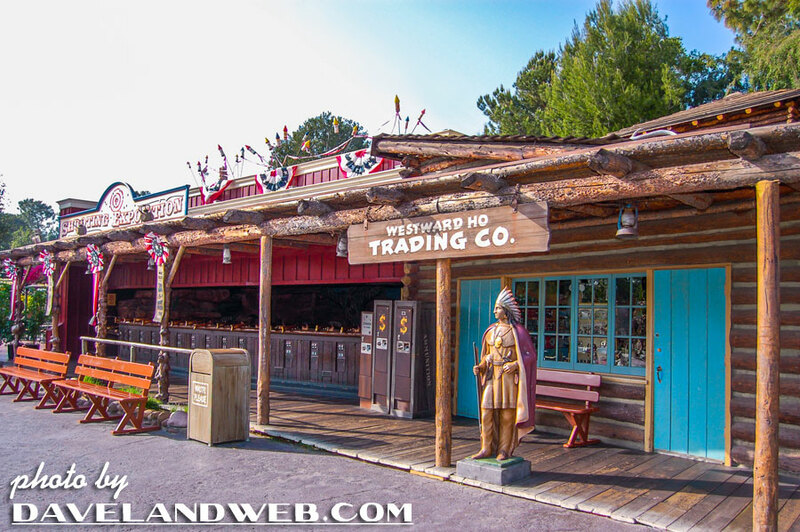 Next door we find the Trading Post; see anything you want to buy in the window? 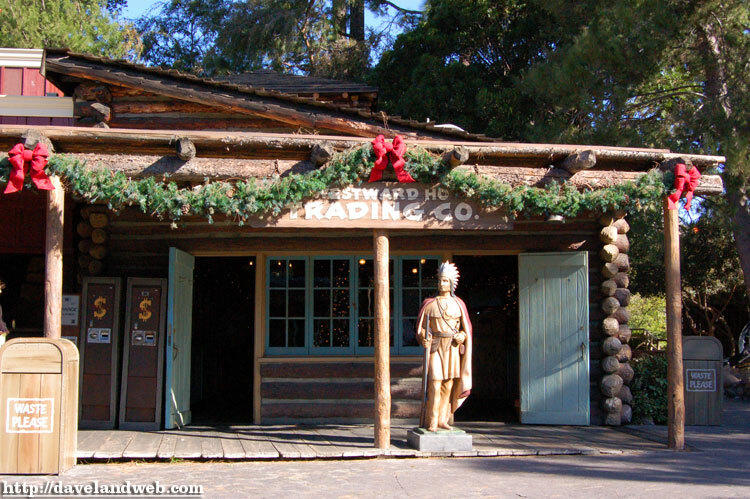 Tomorrow we’ll be finishing up the Frontierland portion of this series. 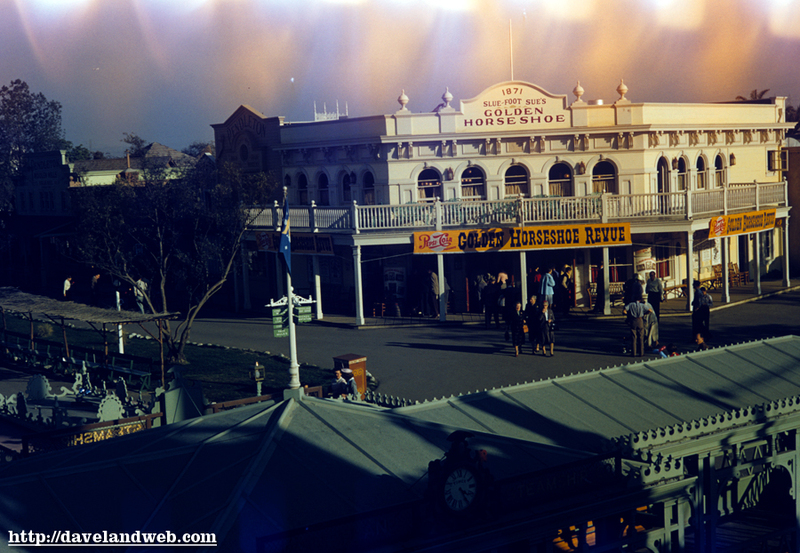 See more vintage Frontierland photos on my regular website. 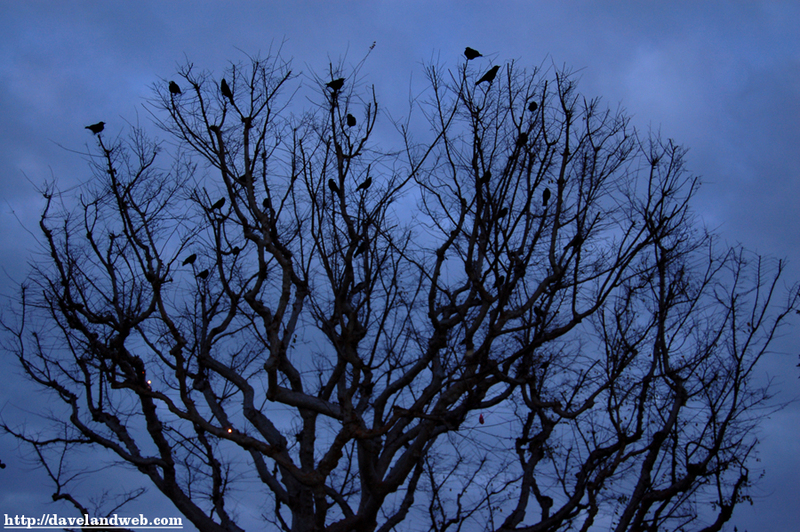 This photo was also taken last Friday; it was pretty eerie looking at the time and reminded me of Hitchcock’s “The Birds.” So in retrospect, I’ll let it be a nice tribute to Suzanne Pleshette, one of my favorite husky-voiced comediennes who starred in that classic film, along with a number of Disney live-action movies. 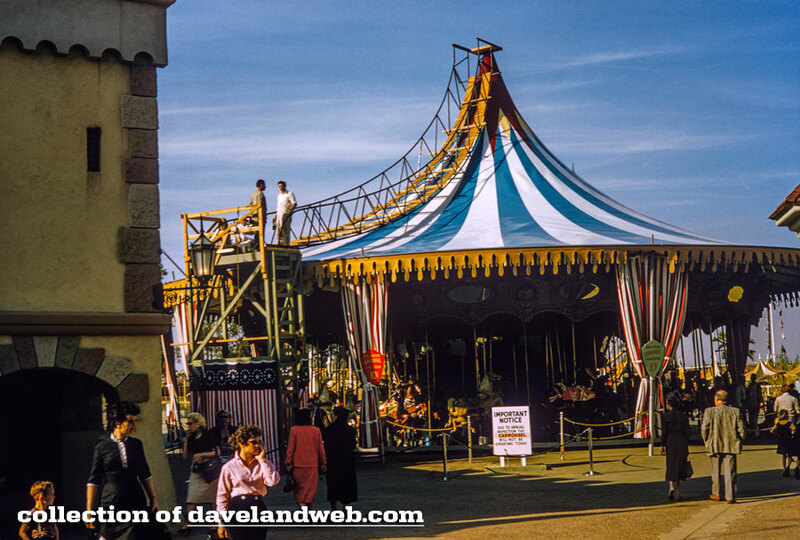 Back to 1956...we are now in Frontierland and for a little background music to today’s post, let’s listen to a few tunes from the Strawhatters at the Dixieland Bandstand on the Rivers of America. 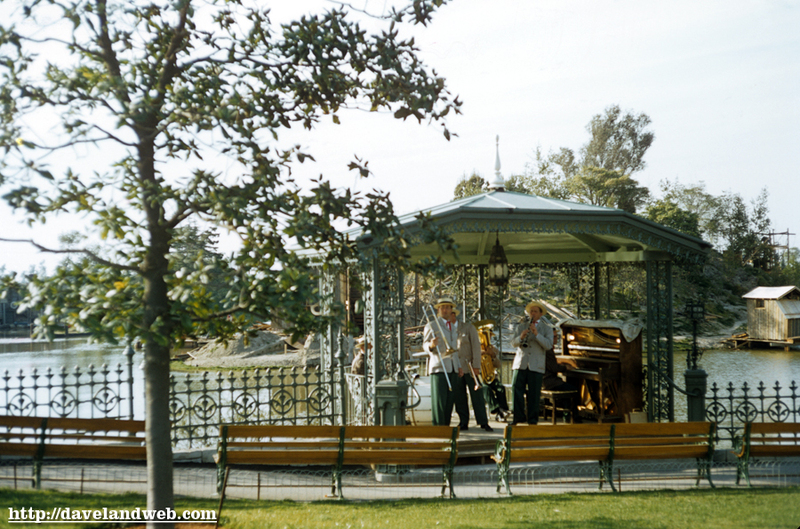 I believe this bandstand was removed when the construction of New Orleans Square took place. 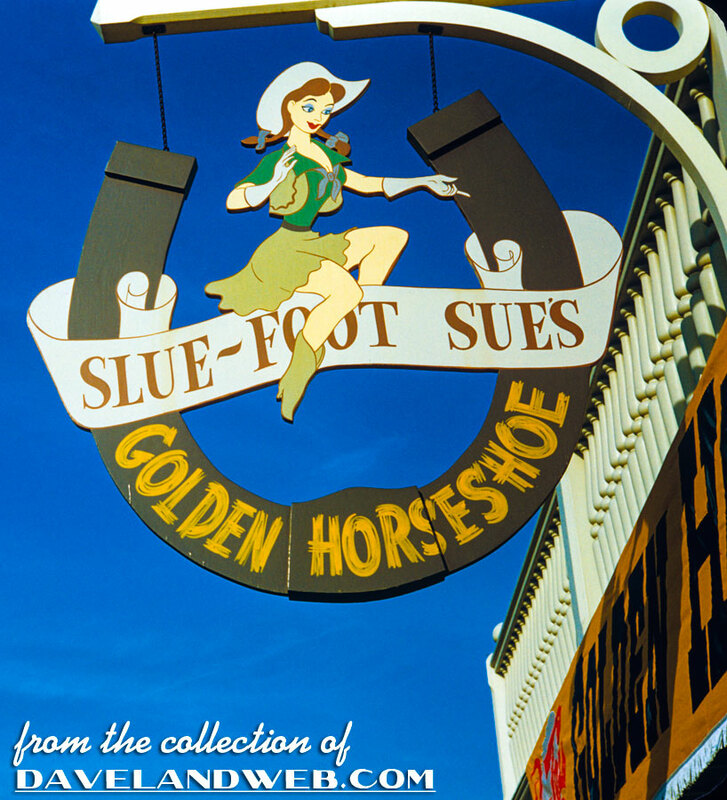 Next up are 2 shots of the Golden Horseshoe, including this way cool sign featuring Slue Foot Sue. Anybody know the significance of 1871 and why it was picked as the date for the GH? That’s it for today; after yesterday’s glut, I thought I’d downsize a little. 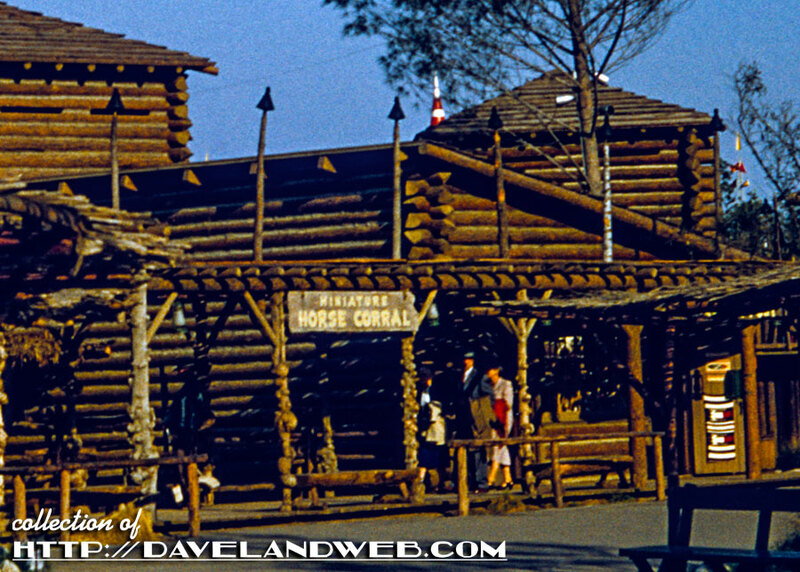 See more vintage Frontierland photos on my regular website. 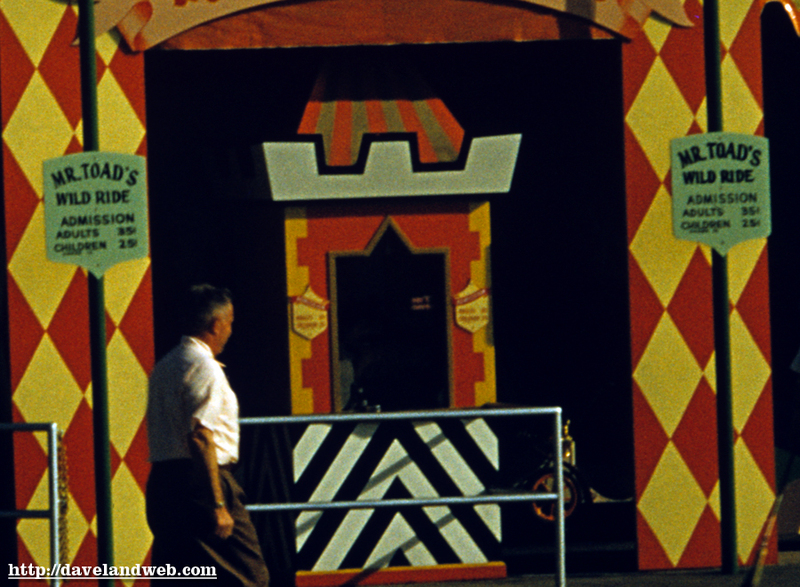 Here’s a front façade shot of Mr. Toad, with a closeup of the ticket prices thrown in for good measure. Judging by the crowds (or lack thereof, these photos must be somewhat early in the day. 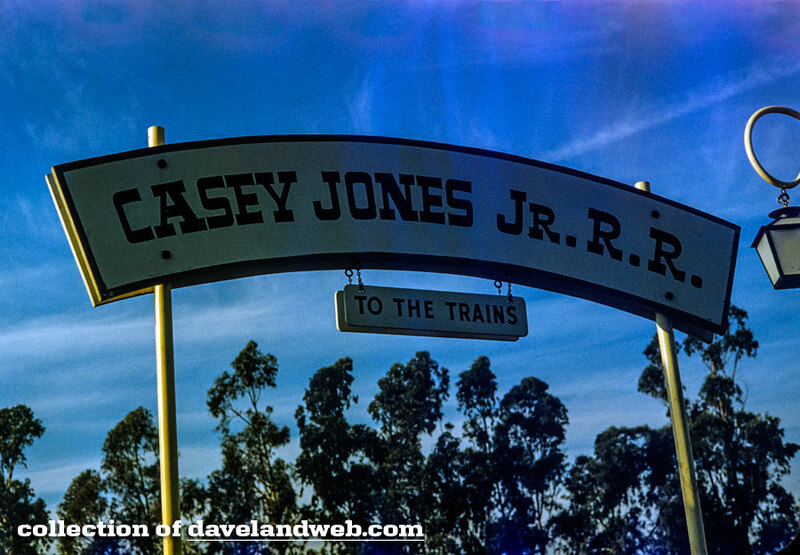 There are no Casey shots in this bunch, so most likely Outside the Berm is correct about the construction yesterday being on Casey; this sign (and yesterday’s ticket booth shot) are the only photos of dear Casey. 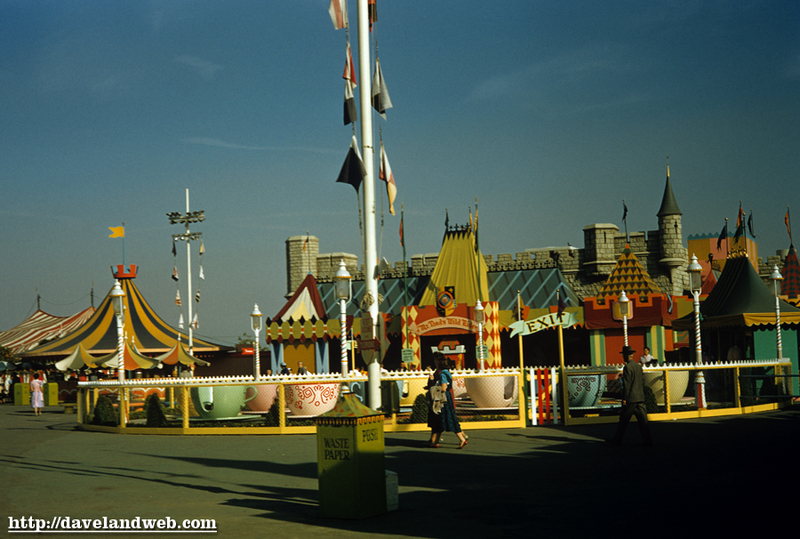 The teacups sit dormant, awaiting a few guests ready to lose their turkey leg or churro in the whirling and spinning of this attraction. 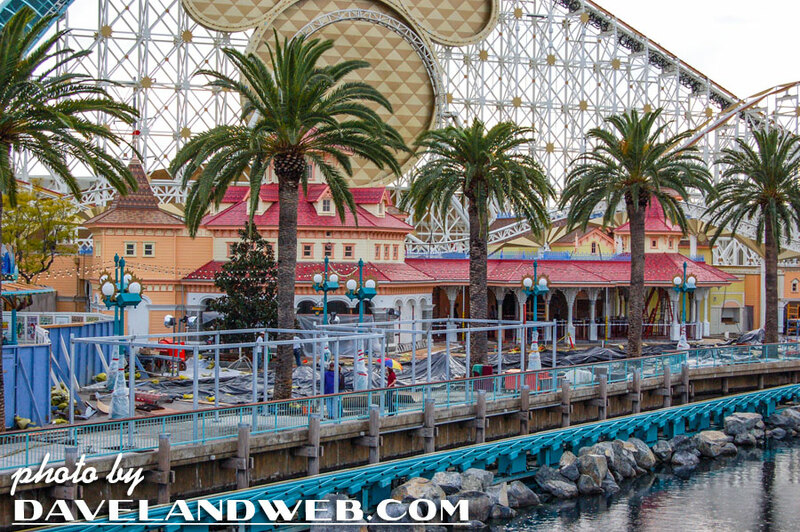 On Friday, my staff had its annual trip to DLand; where else can you see fantastic design, signage, branding, and customer service all in once place? (Don’t even try to answer that one...). 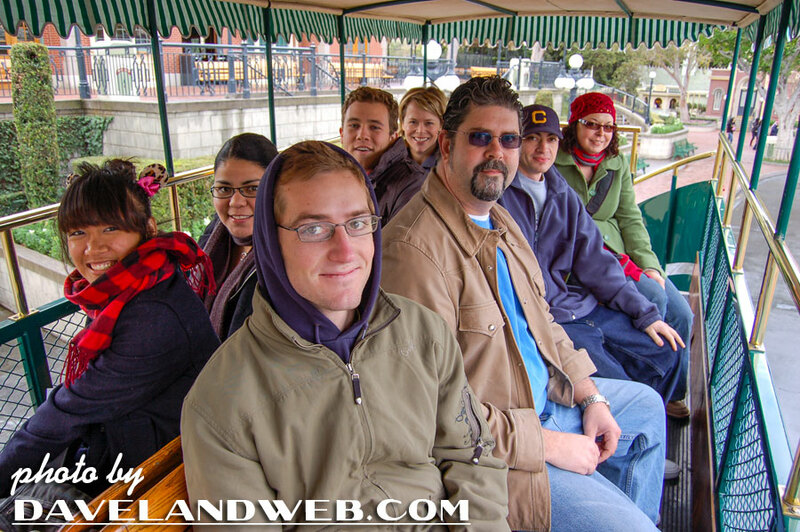 I usually try to expand their horizons a little outside of the thrill rides...this time, we took a ride down Main Street on the top of the Omnibus. 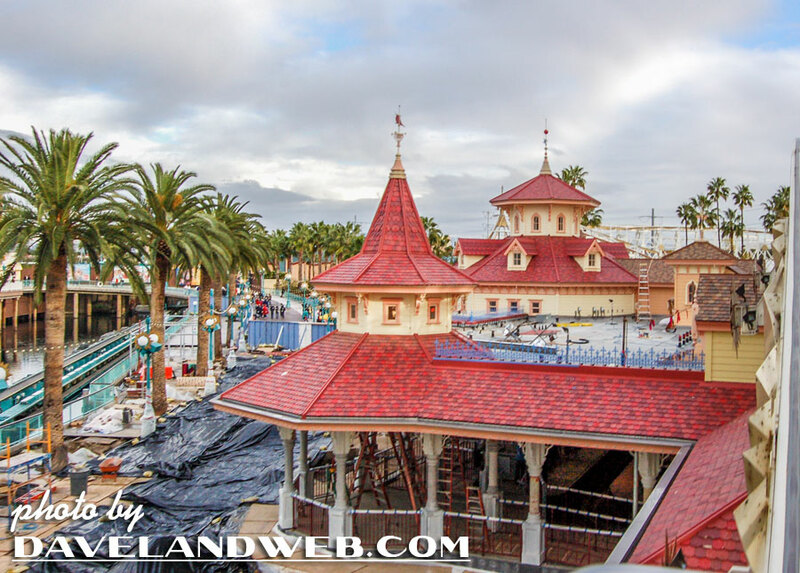 Because of the threat of rain, we were able to walk on almost every attraction; even Nemo was a short wait. 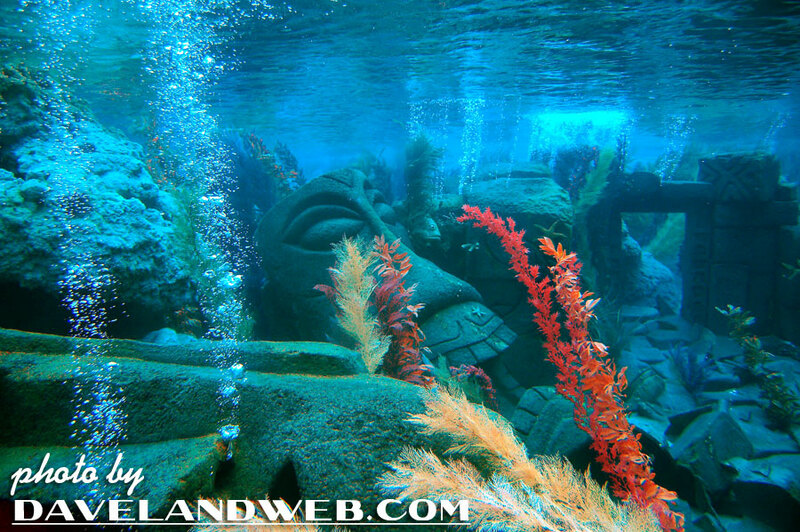 This was my third ride on Nemo; I have enjoyed it each time, but still felt that the ride of yesteryear was much better; more kitsch, and less of a storyline crammed into a short ride. 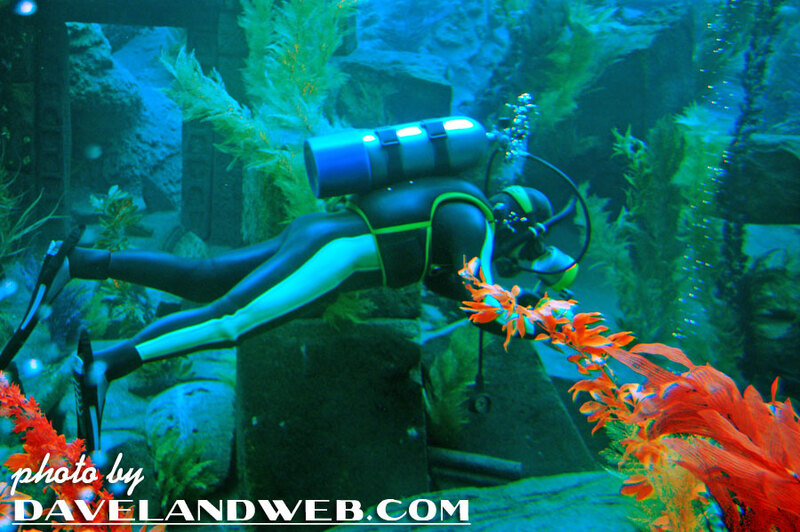 For me, Nemo’s video effects fall short (just not quite convincing enough) and the barrage of info thrown out is just too much. 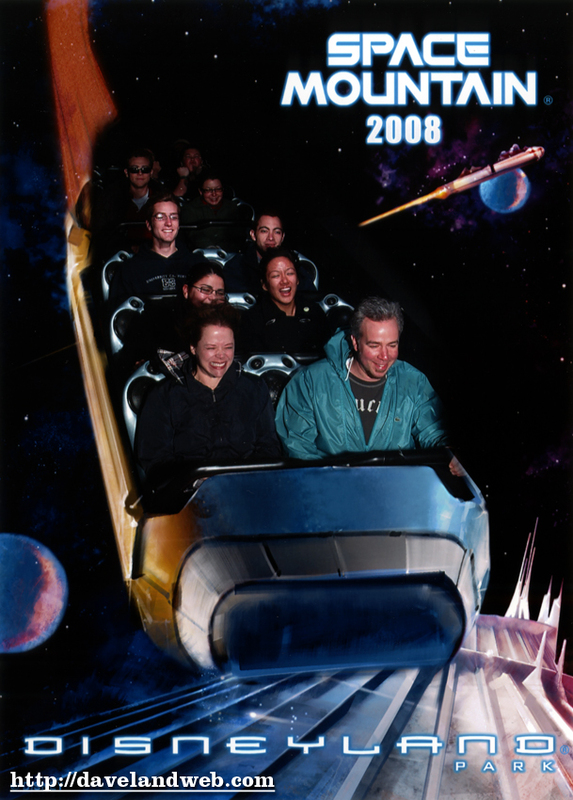 However, when my staff was unofficially polled (and they are about 20 years younger than me for the most part), they truly enjoyed it; one even said that he felt that it was a return to the classic rides. 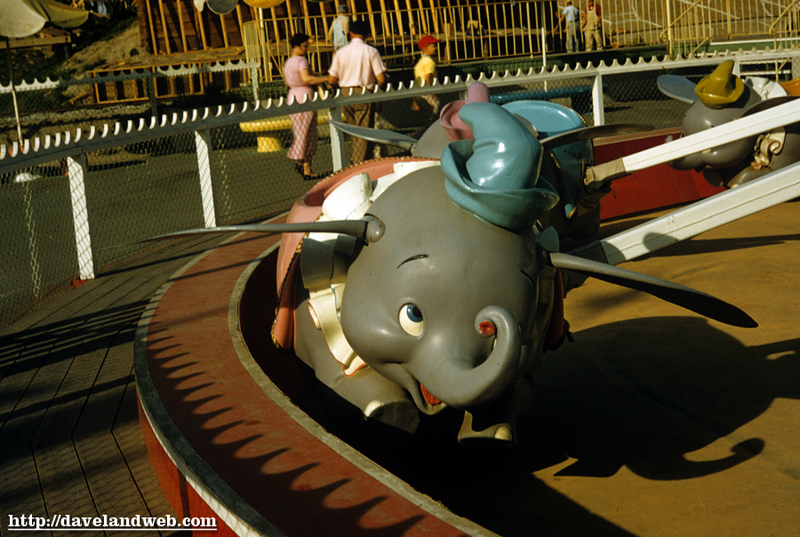 I was pleased to at least here that the park is remaining current, even if it goes over my head. 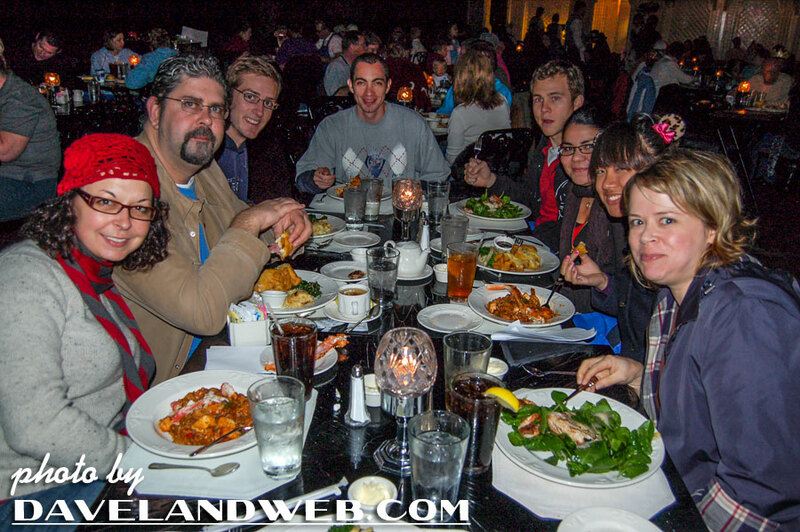 There was no debate about lunch; Blue Bayou was and remains a classic (as does the Monte Cristo—an artery clogger second to none). Just how un-crowded was it? 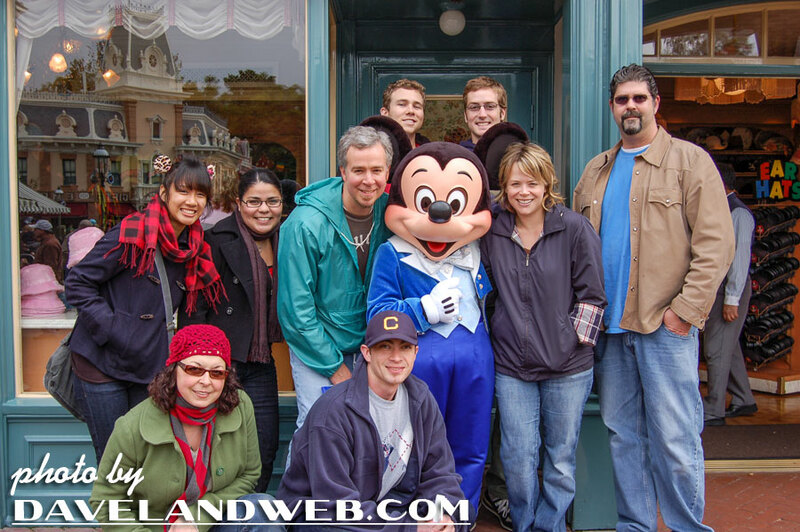 How about no waiting for a photo-opp with Mickey? 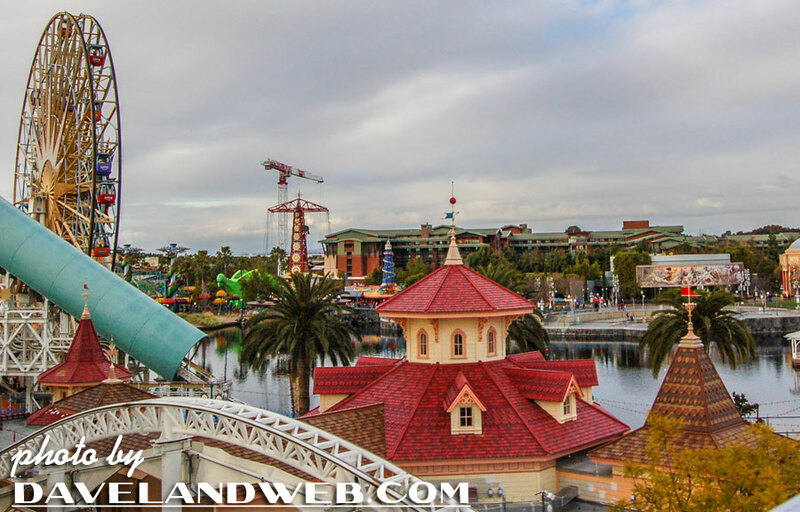 Overall, the favorite rides of my staff are the fast-moving thrill rides; nobody does them better (theme-wise) than Disney, and these seem to be the ones that they prefer. 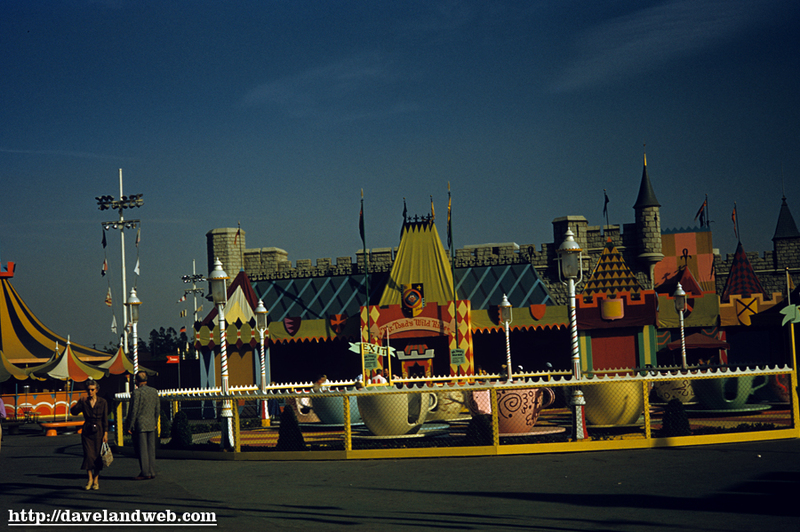 Fantasyland is viewed as a kiddie area and was quickly stepped through. 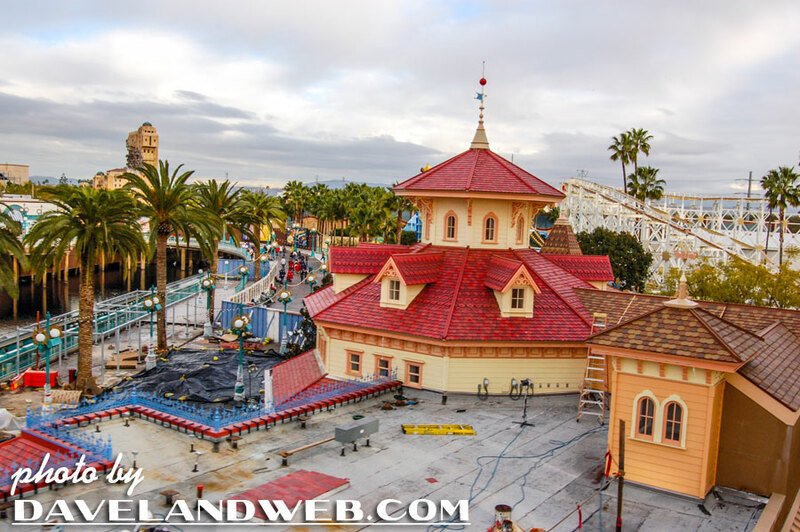 Over at DCA, the Toy Story ride continues to move along; the attraction building definitely gives a nod to the Main Street Train Station. We all had an awesome day...as if that is any surprise to you. 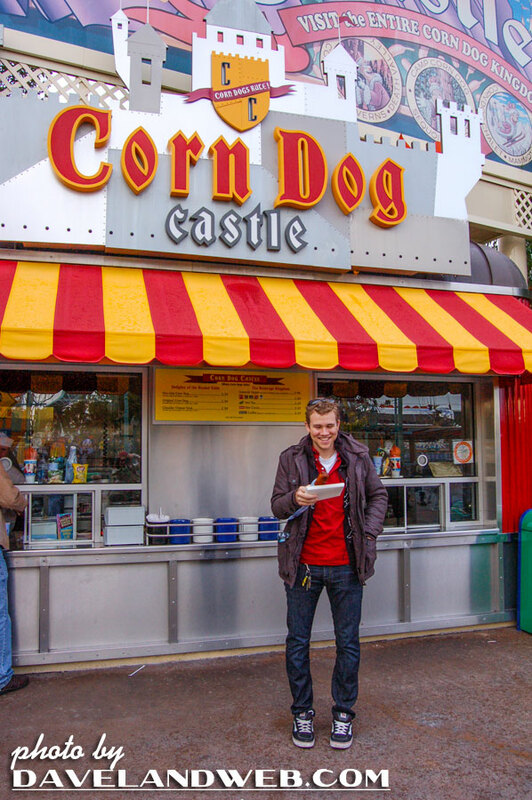 And nothing says awesome like a Corn Dog at Corn Dog King...true happiness. 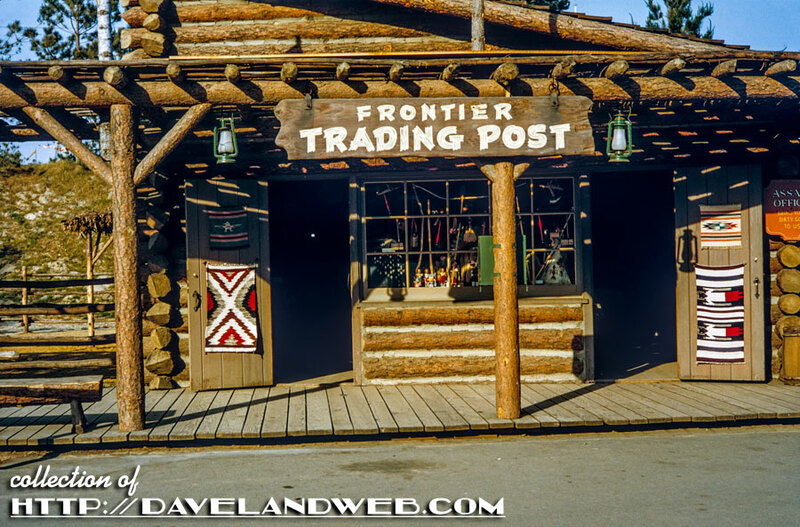 Tomorrow we will mosey on over to Frontierland. 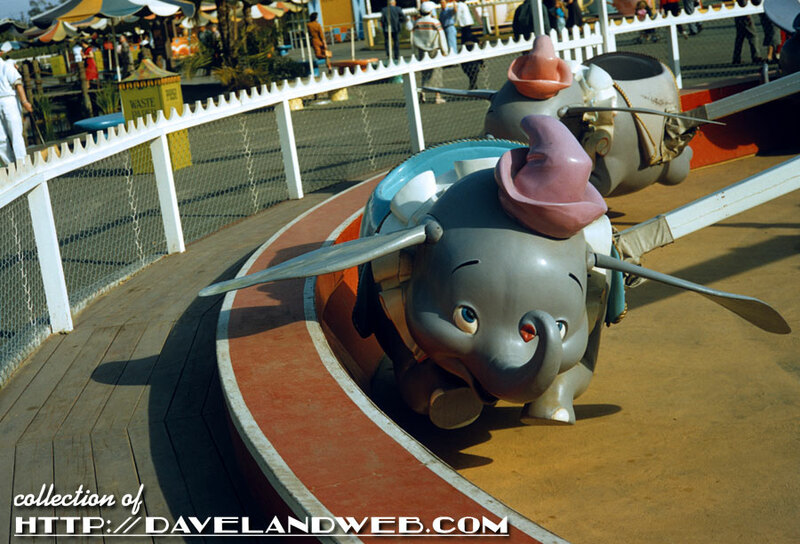 See more vintage Fantasyland photos on my regular website. 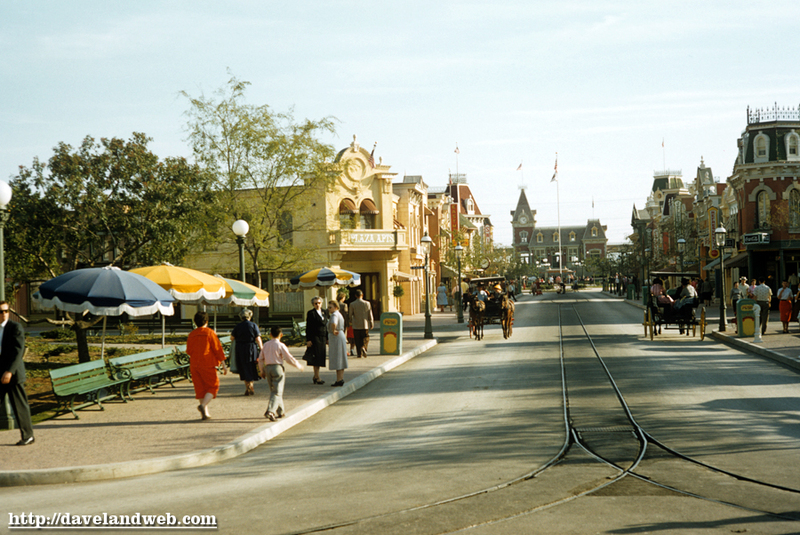 We have officially left Main Street and entered our first land, circa March 1956. 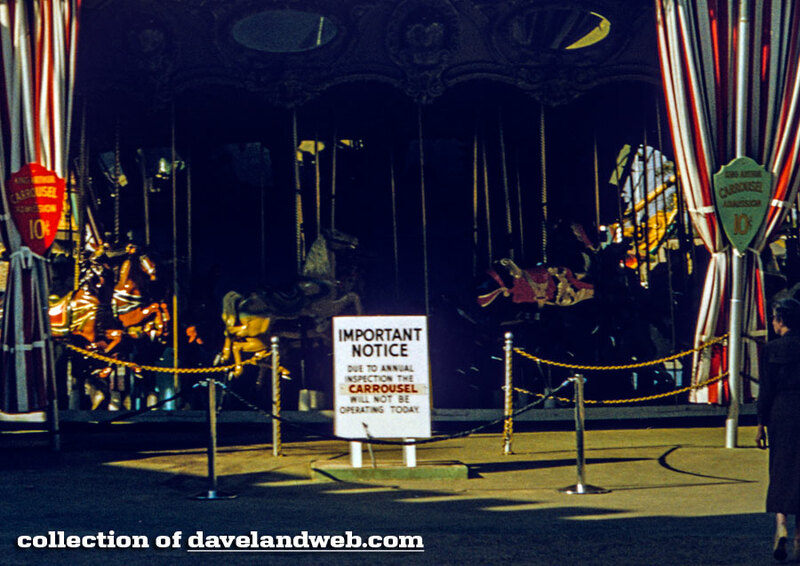 The Carrousel isn’t under construction, folks...just doing a little maintenance; detail shot included. 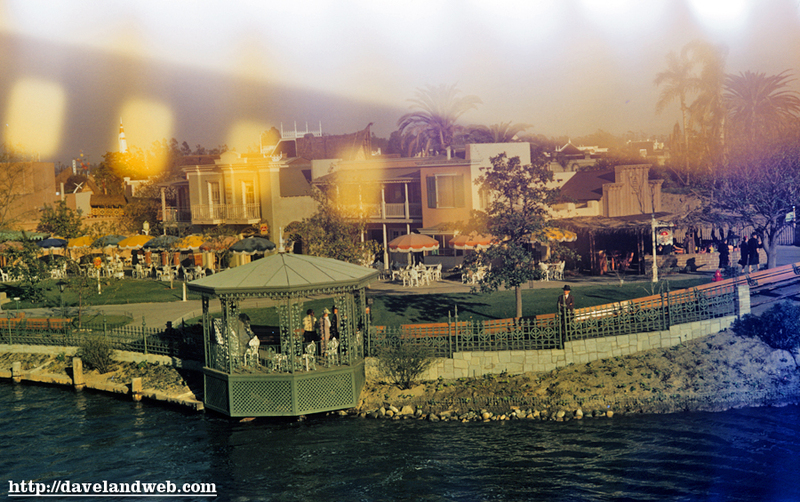 These slides are date stamped March 1956; but this photo shows July 4th bunting; either they were developed many months after July 1955, or the bunting is just a leftover piece from the year before. 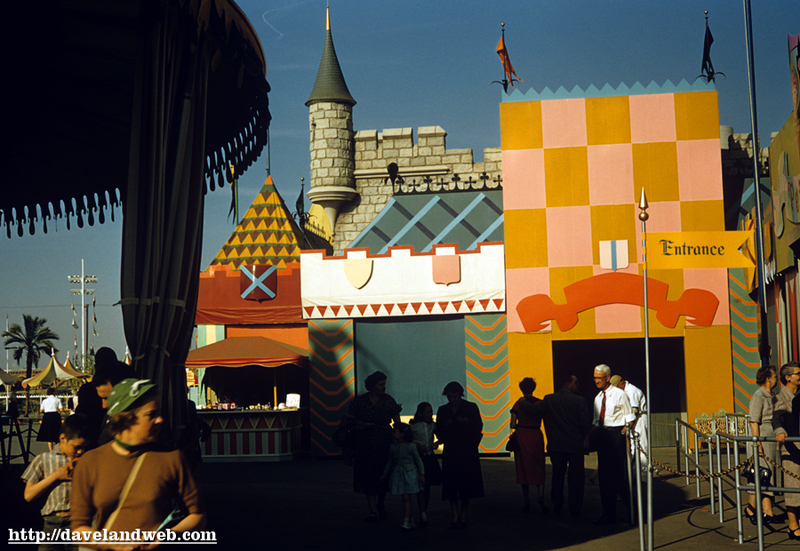 A good shot of the old Fantasyland façades, with Mr. Toad ahead and Peter Pan on the right. 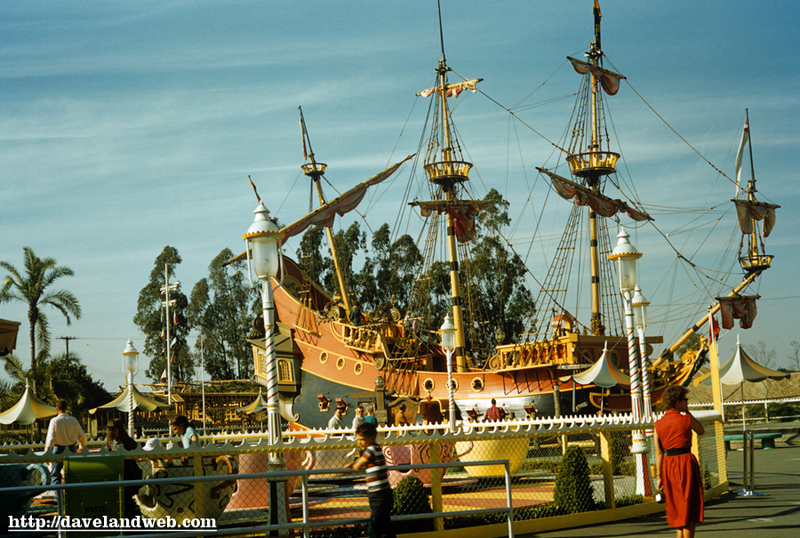 Last one for today shows the Teacups and the Chicken of the Sea Pirate Ship restaurant; appears to be some construction going on in the background; Fantasyland Skyway station perhaps? 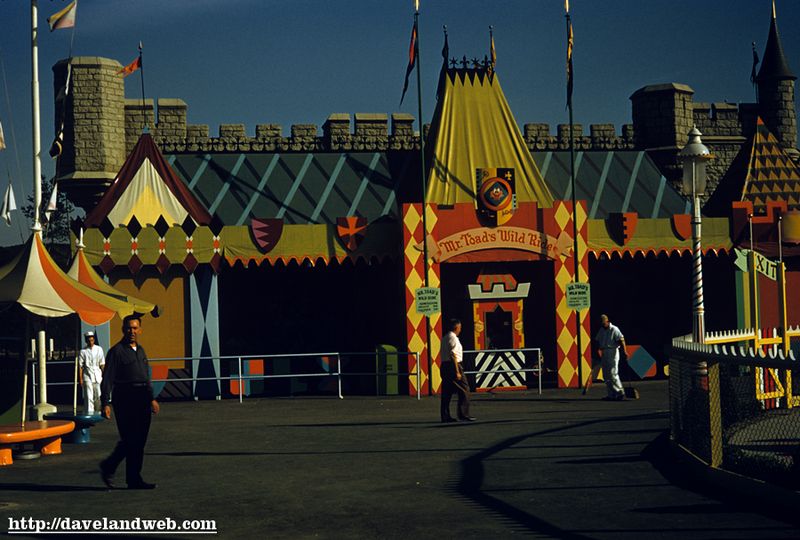 More Fantasyland March 1956 photos tomorrow. 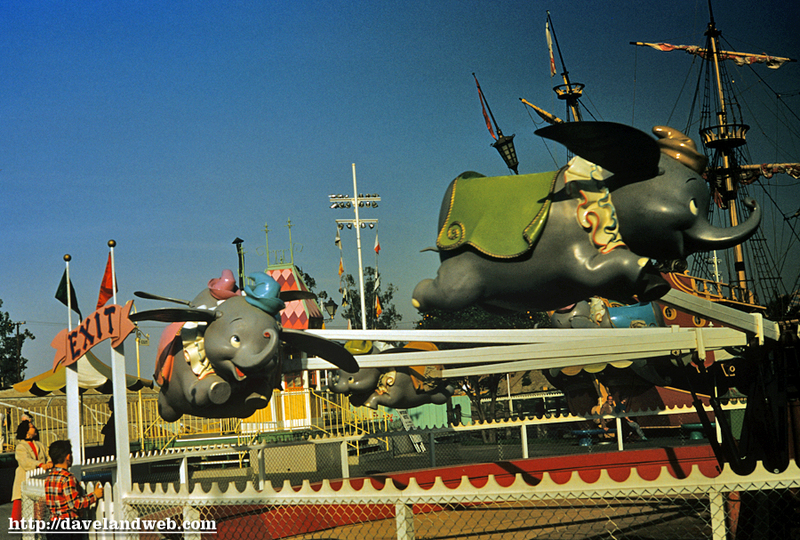 See more vintage Fantasyland photos on my regular website. 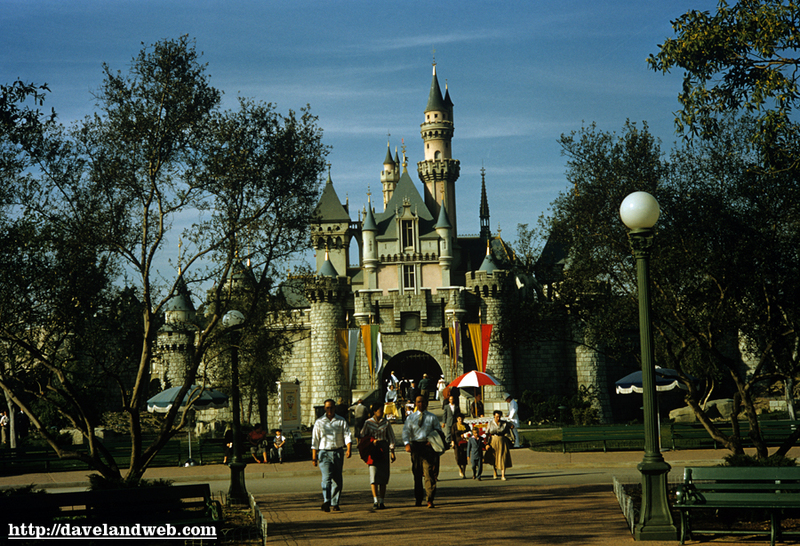 My March 1956 post for today begins with two views of the Castle, showing off its original tasteful color scheme, without any golden bling-bling trappings. 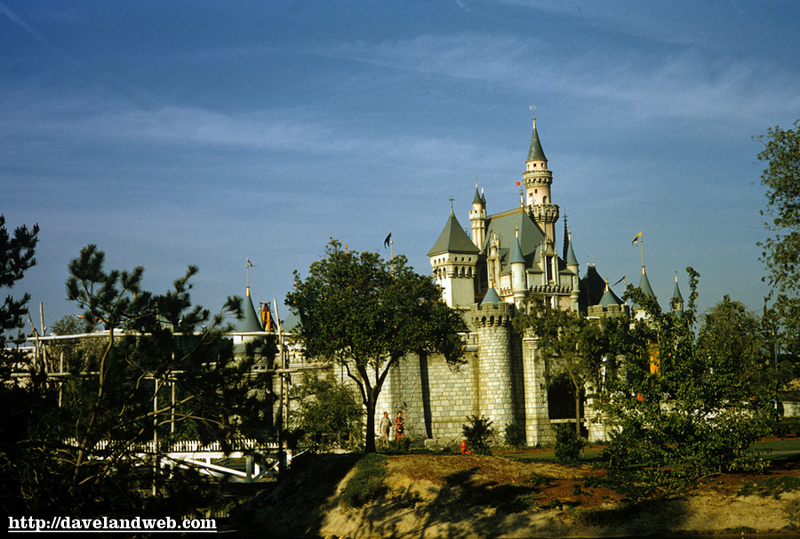 THIS is the castle that prefer. 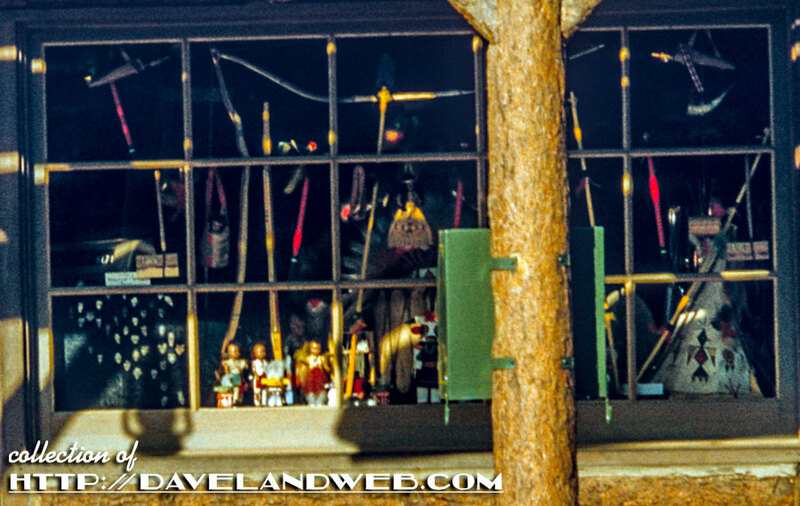 Here’s the Red Wagon Inn; must be early morning, as there’s no action at all. Hours back in 1956 were 11am—8pm. 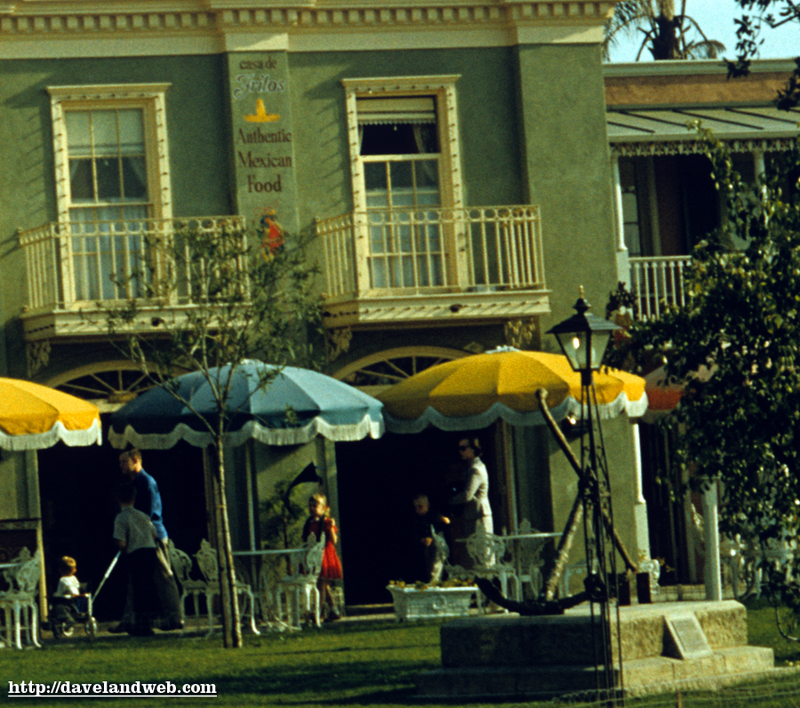 I do enjoy a Plaza Inn Breakfast...their French Toast is mighty tasty! 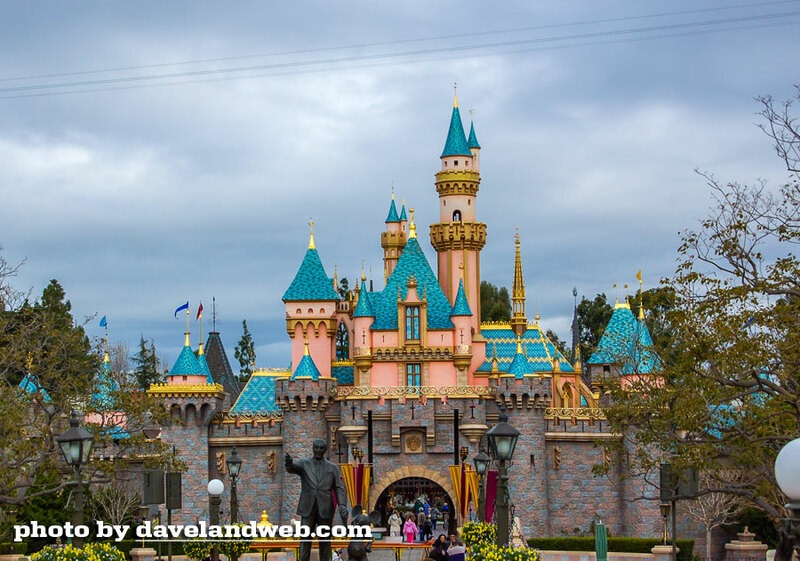 And what a great opportunity for the kids to spend a little face-to-face time with their favorite Disney characters. Cinderella’s Fair Godmother sure is a saucy one....but I digress into the present, now we must return to March 1956. 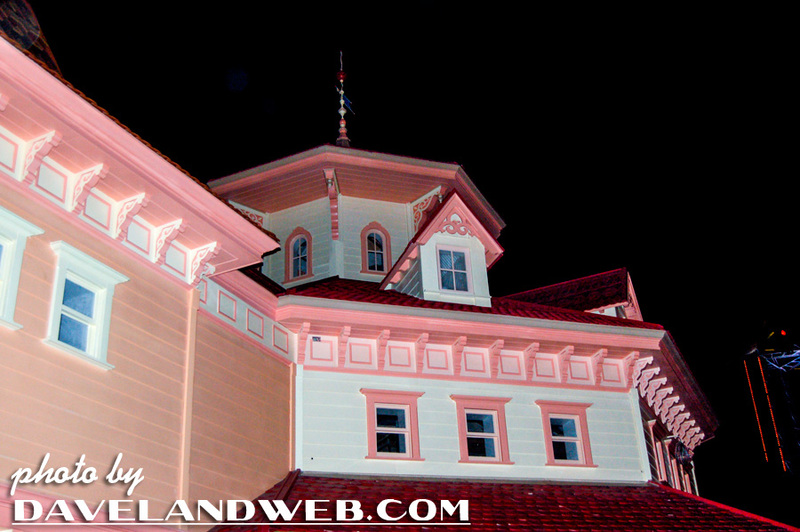 I’ve enclosed to closeups of the signage and the Red Wagon weathervane. 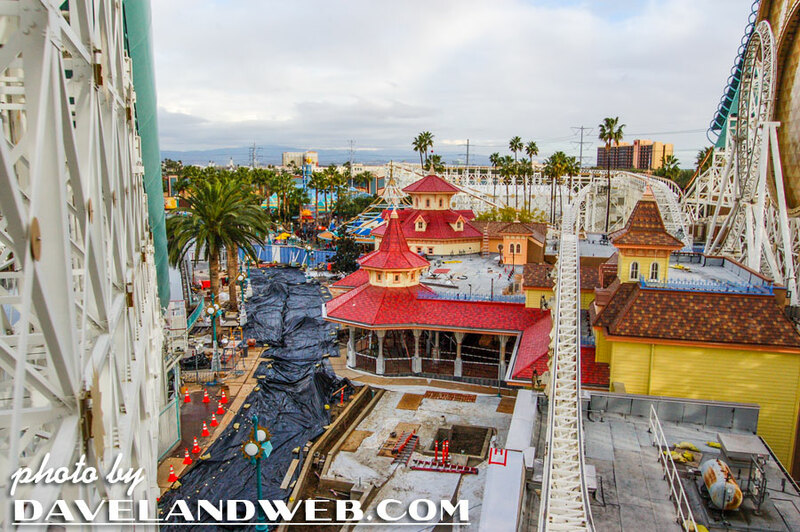 Last one for this area was taken from the hub, facing the Main Street Train Station. Plaza Apartments are enjoying their relative short-life on Main Street before they lose all their cares with INA. 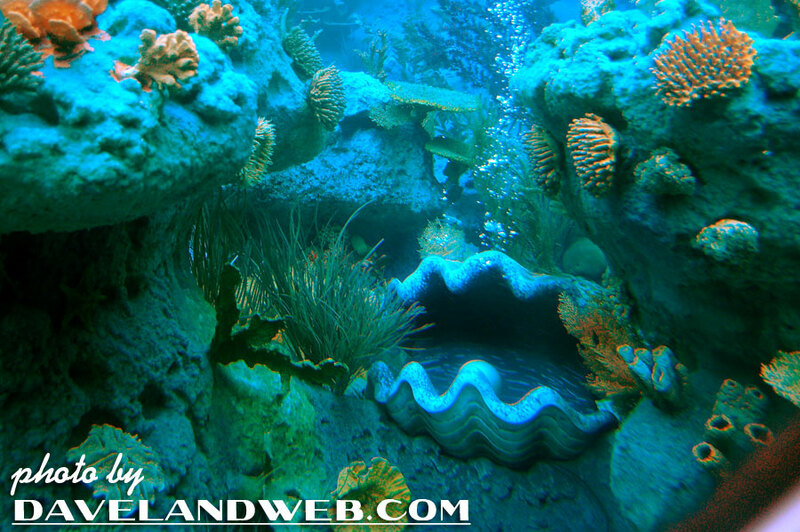 Come back tomorrow and spend some time in Fantasyland. 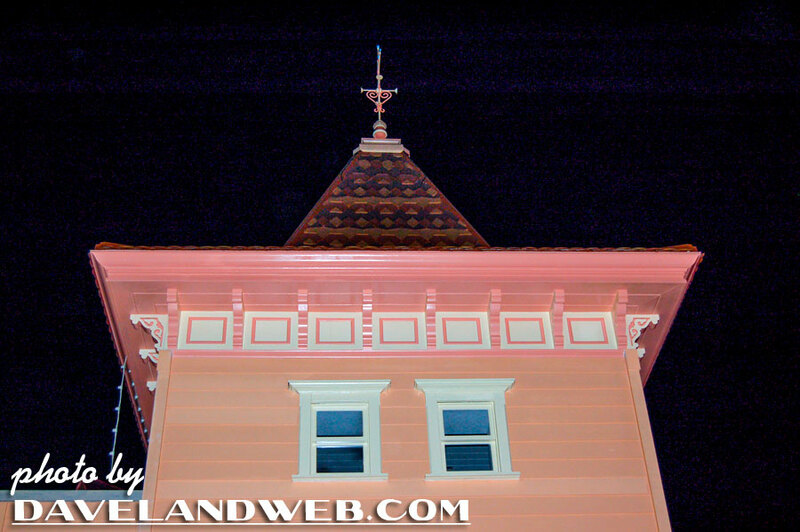 See more vintage Main Street photos on my regular website.